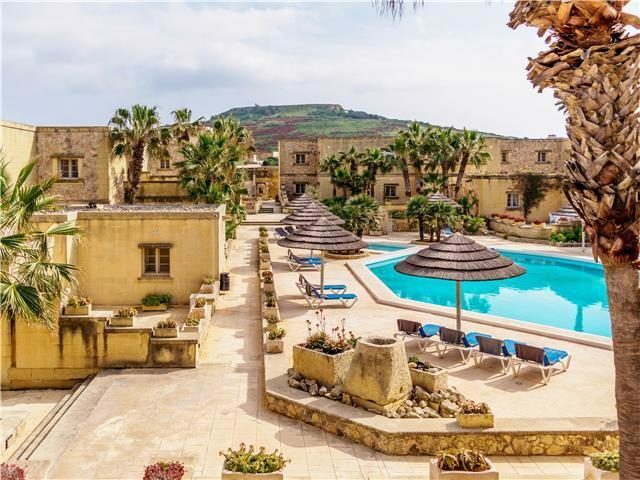 Villagg Tal Fanal nestles in lush gardens at the heart village of Ghasri on the picture-perfect island of Gozo. 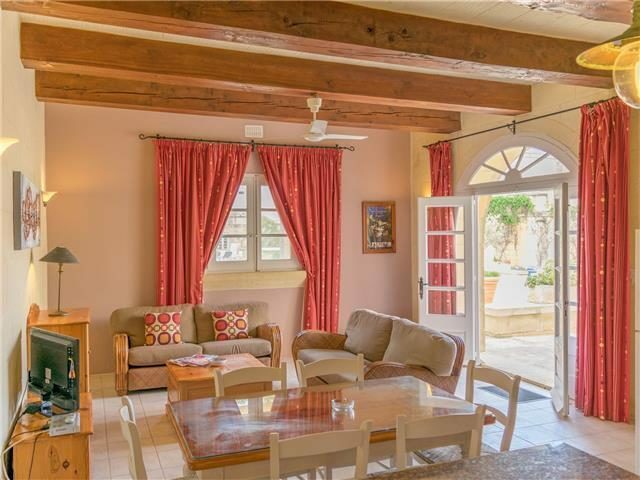 This rustic-style retreat combines typical island architecture with wooden beams and stone arches and all the facilities you need for a laidback holiday in the Mediterranean. Spend your daytimes relaxing on the palm tree-dotted poolside terrace and taking the occasional dip in the water to cool down. Keeping in touch with family and friends is easy thanks to the Wi-Fi access in public areas and apartments. No visit here would be complete without taking a trip to explore the nearby island capital of Victoria. 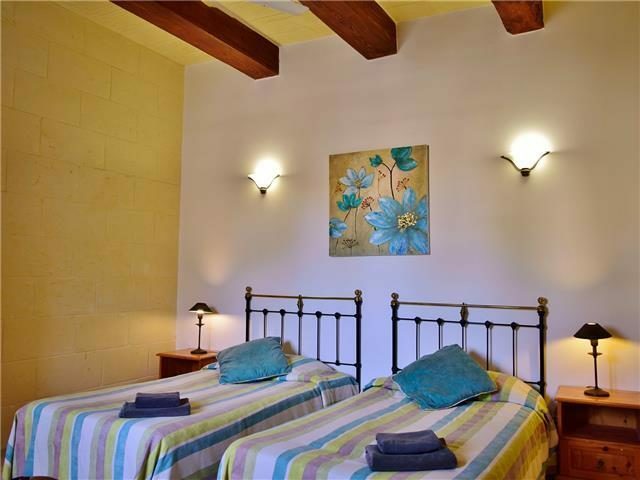 The apartments are light and airy and feature light wood furniture and colourful curtains and bedding. Welcome touches such as a flat-screen cable television, ceiling fan, kitchenette, and a modern bathroom add to your stay. Your balcony or terrace is the perfect place for an open-air breakfast or an early evening drink as the sun goes down. 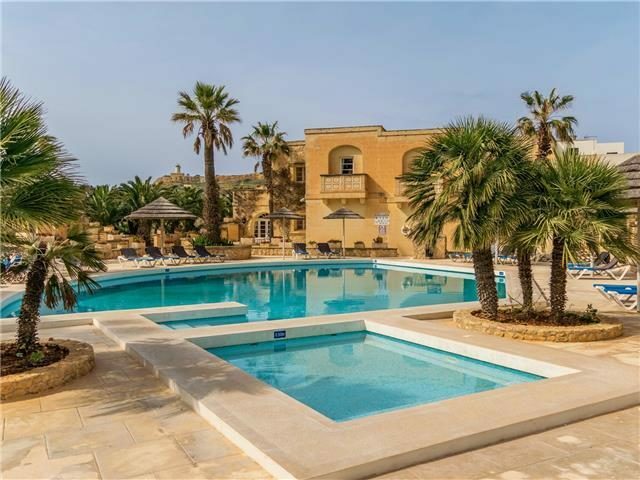 Discover why Villagg Tal Fanal is a popular place to stay for Gozo holidays. 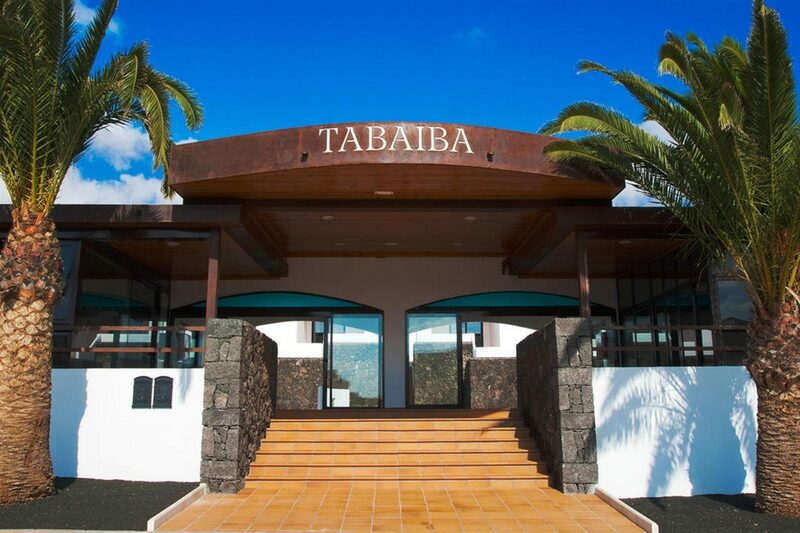 SThe facilities at Villagg Tal Fanal include: an outdoor swimming pool with children's section, sun terrace with sun loungers and parasols, gardens, Wi-Fi access in public areas, laundry facilities, and a car park. 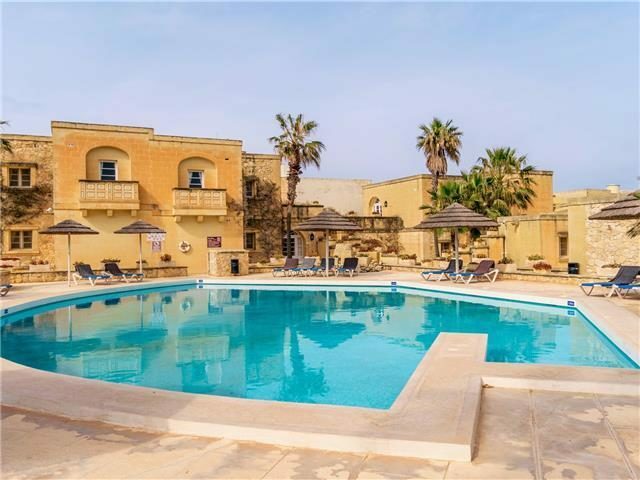 This Gozo holiday complex has a total of 26 one, two, and three-bedroom apartments. One-bedroom apartments feature a flat-screen cable television, Wi-Fi Internet access, balcony or terrace, ceiling fan, iron/ironing board on request, kitchenette with four cooking rings, microwave, oven, toaster, and fridge-freezer, and bathroom with bathtub or shower. There are no bars or restaurants on site but each apartment is equipped with a kitchenette complete with cooking facilities and a fridge freezer.